If you have difficulty opening and closing your mouth or live with reoccurring jaw pain, you are not alone. You may be among the 12% of Americans who live with a temporomandibular joint disorder (TMJ disorder). 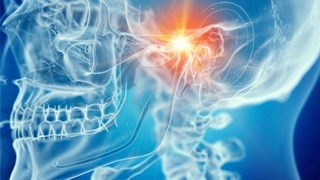 The hinge-like joint connects your jaw to your skull on either side of your face. It allows you to perform everyday tasks, like chewing and speaking. 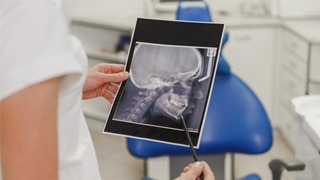 Unfortunately, injury to the jaw, a poorly aligned bite, or another underlying problem can cause it to have limited mobility, leading to a variety of painful symptoms. At Ridgepointe Dental, Dr. Austin Amos can stop your pain and improve your quality of life with TMJ therapy in The Colony. Clicking, popping, or grating sensations when opening and closing the mouth. You can get the relief you need from your TMJ disorder with the help of Dr. Amos. He takes the time to discuss your symptoms and performs a comprehensive consultation to pinpoint the cause of your discomfort. Besides a visual exam, he also takes diagnostic images to look for any issues that may be occurring below the surface. He creates a customized treatment plan based on the information to stop your discomfort. 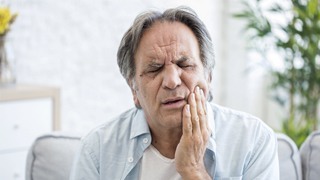 It is not uncommon for a poorly aligned bite to be the cause of your pain. Dr. Amos uses a minor dental procedure to reshape the biting surface of your back teeth using a fine polishing brush. This allows him to create a harmonious bite to take pressure off the joint. Your jaw is aligned into a more comfortable position using advanced technology to take the guesswork out of the process for more successful results. As an alternative to occlusion adjustments, a splint can also be used. This involves a custom-fit oral appliance that repositions your jaw. It looks like a mouthguard; however, it serves multiple purposes. It not only acts as a protective barrier between your top and bottom, but it also retrains your jaw. The oral appliance is made from acrylic resin material for your comfort. It moves your jaw into a more comfortable natural resting position to take the strain off your joints. Over time, your jaw it trained to fall into this position on its own for long-term relief. Your dentist in The Colony, Dr. Amos, can improve your quality of life and stop your pain with TMJ therapy. Supported by regularly continued education, he offers specialty services, like the treatment of TMJ disorders. He provides the individualized solutions you need to improve the function of your temporomandibular joints. Contact Ridgepointe Dental today to schedule your consultation.